You may recall that way back in February I wrote a review of The 21-Day Sugar Detox (you can read it here). At the time, the program was only available as an online program with a set of downloadable PDF files. Oh, how things have changed! The online program is no longer available in its previous form, but its author, Diane Sanfilippo, has released a print version that is far more comprehensive, detailed, and beautiful. 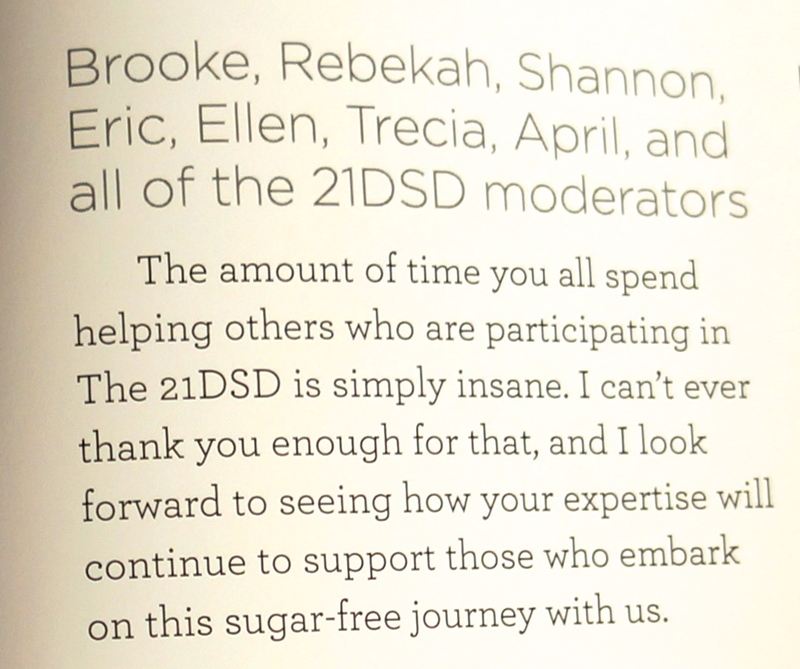 I should let you know at this point that I work part-time for Diane as an independent contractor, and I received an early-release copy of her new book, The 21-Day Sugar Detox. Despite getting a free copy of the book, the opinions that follow are entirely my own and were not influenced by my professional relationship with her. When I first heard that Diane was working on a print version of the 21DSD, I thought that many people would love to have a hard copy to carry around. 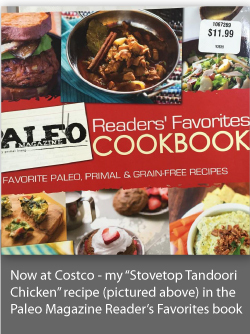 While the PDFs were great, they were often difficult to access on mobile devices and cumbersome to “flip” through to find a specific page or recipe. Recently she added additional guides to the program including one for moms and kids (written by yours truly) and a yoga guide, which were great, but just added to the difficulty of accessing information since it wasn’t all in one place. A print version of the program would increase portability and greatly improve the ability of readers to access the information. I wasn’t sure, however, that I would really benefit from the book. I’ve done the program myself twice, have been a moderator on the Facebook page for over a year, and have worked with Diane since February 2013, so I know A LOT about the 21DSD. I wasn’t convinced that this book had anything valuable to offer me, or potentially to the many “veterans” who have completed the program numerous times. I’m happy to admit that I was wrong. The 21-Day Sugar Detox is an amazing resource for anyone who wants a natural, whole foods approach to busting sugar and carb cravings. This book goes beyond the original program basics and provides much more in-depth explanations of how sugar affects your body, how to figure out which level of the program to complete, and what to expect on each day of the program. Diane includes comprehensive 21-day meal plans for each level for those who would like a more structured plan as well as specialized modifications for athletes, pregnant or nursing moms, pescetarians, or those on an autoimmune protocol. She then follows those meal plans with over 90 recipes, catalogued in a visual recipe index that will surely tempt you into the kitchen. So let’s talk about the food! If you’ve been reading this blog for any length of time (or you know me personally), you know that I love good food. I do want it to be from the best quality sources and nutritious, but it better taste good, too. I’m going to admit now that I am not always a fan of Diane’s recipes, simply because I don’t enjoy many of the flavors that she cooks with. However, the recipes on her blog (Balanced Bites), in her first book (Practical Paleo), and in The 21-Day Sugar Detox are consistently easy to make, full of simple ingredients and easy-to-follow instructions. I figured that I should try some of these out and see whether I (and my kids) liked them. I asked H, my seven-year-old daughter, to help me decide which recipes to try out. She bookmarked eight; I have made three of those, plus a couple that just I wanted to try. We have loved what we tried so far–hooray! H loved the perfectly grilled chicken, the no-miso soup, and the apple streusel egg muffins (though she liked them better without the apples…go figure). 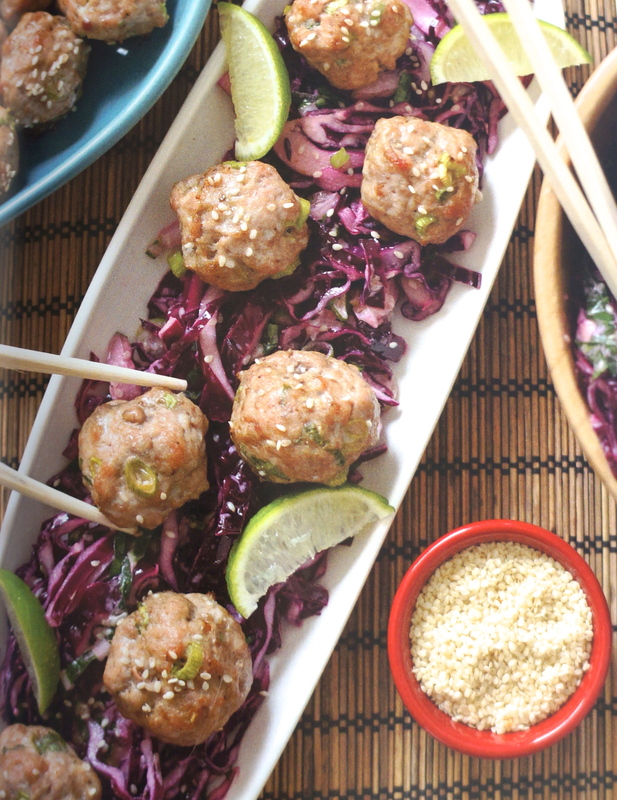 My favorite recipe was the Asian meatballs, which A also enjoyed–they were gone by the next day and I plan to make more this week. I also made the green apple and fennel salad, which was crisp and fresh tasting. 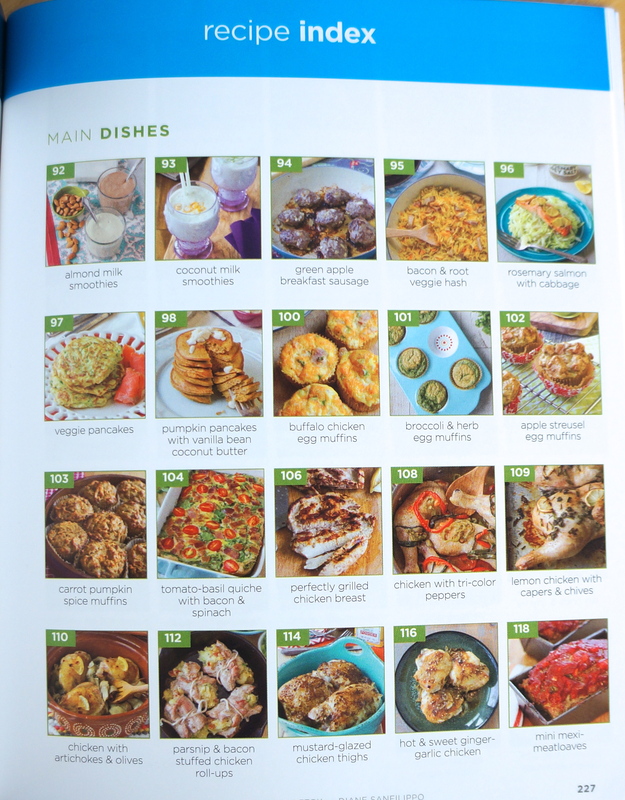 We are still working our way through the recipes, choosing one or two each week, and I am sure that many of them will find their way into our regular meal rotation. I’ll be making the Granny Smith apple crumble sometime soon. So here’s the bottom line: even if you have done the online program and think that this book has nothing to offer you, you are wrong! It is full of information, delivered in Diane’s signature practical and easy-to-understand style. You will surely learn more about the science of sugar, or just solidify what you already know. The in-text graphics are colorful and illuminating (I love Mr. Hangry! ), and the photos and design layout are beautifully done. The size of the book makes it portable and easily readable. The recipes offer lots of sugar-free, dairy-free, and gluten-free meals with simple, budget-friendly ingredients. What’s not to love? 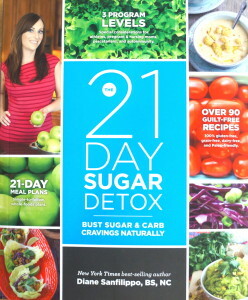 And if you aren’t sold on the whole “detox” idea, this book is worth buying simply for the recipes. 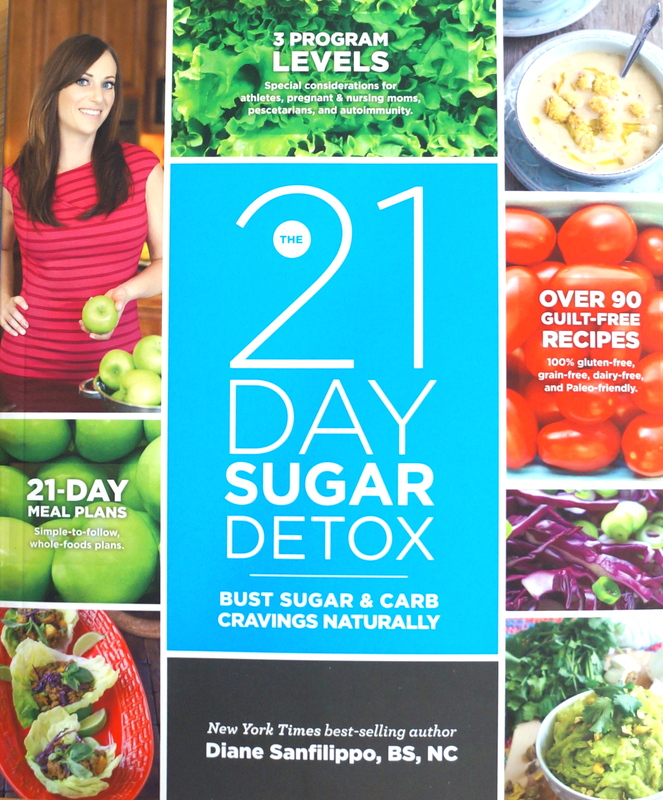 You can order a copy of The 21-Day Sugar Detox here and you can preorder The 21-Day Sugar Detox Cookbook here (which will release in December and include over 100 new recipes!). Though I have worked for Diane for a while, I was so pleasantly surprised and touched to find my name in the acknowledgements! It has been a pleasure to work with her, and I’m so grateful for all that I have learned as a result of being part of her team. And look! 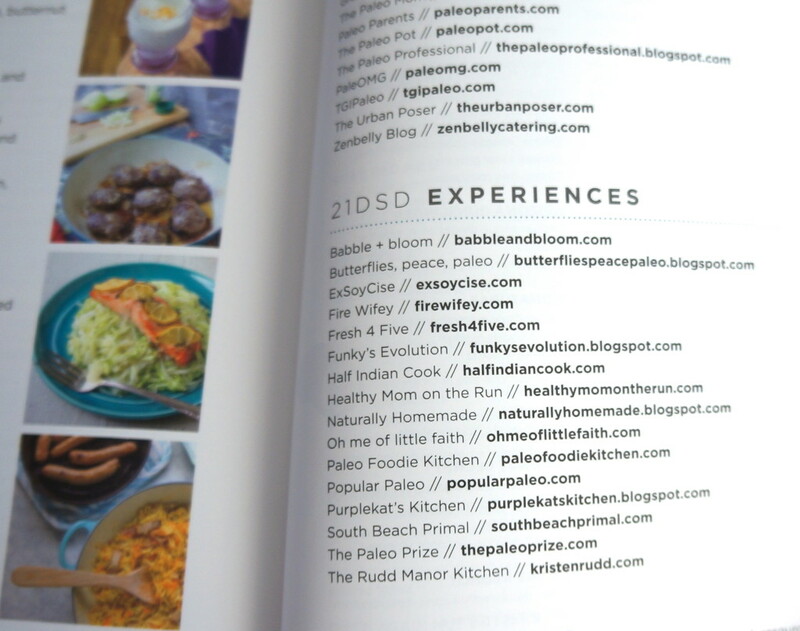 This blog also found its way into the book! 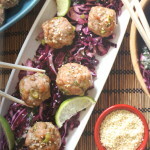 I have lots of 21DSD-friendly recipes, which you can find by searching for the tag “21DSD”. I’ve heard of the I Quit Sugar program–one of my husband’s cousins did it. Thanks for the recommendation! And congrats on a sugar-free life :).